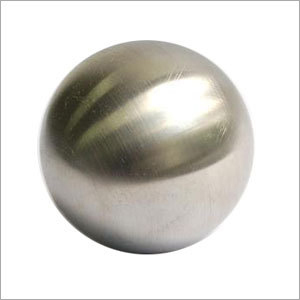 If you are looking for solid, tungsten sphere, whether in sintered condition or fully machined, ground and polished condition, then you have landed up at right page. Our company manufactures hundreds to thousands of tungsten spheres on clients demands. As the name implies, these are spherical in shape, ball like components with a band around one axis of the diameter. We can manufacture tungsten sphere in any material density, sphere density, dimensions, tolerance and surface finish, to suit all possible applications. These spheres provide good resistance to corrosion, high hardness and wear resistance. The company can provide these in short delivery lead-time to clients. The clients will get a manual with it, detailing about its properties, like melting point, boiling point, density, thermal expansion, tensile strength, thermal conductivity, electronegativity, specific heat, heat of vaporization, heat of fusion, etc.